While the relative struggles of their cross town rivals the Rangers have drawn all the headlines this year, simmering beneath the surface has been the uninspired play of the Barclay’s new tenants, the Islanders. The Isles entered this season dealing with a new foe the franchise hasn’t faced in many years—expectations. A bottom of the barrel group for the longest time, the Islanders came within a game of the franchise’s first playoff series win since 1993 last postseason. 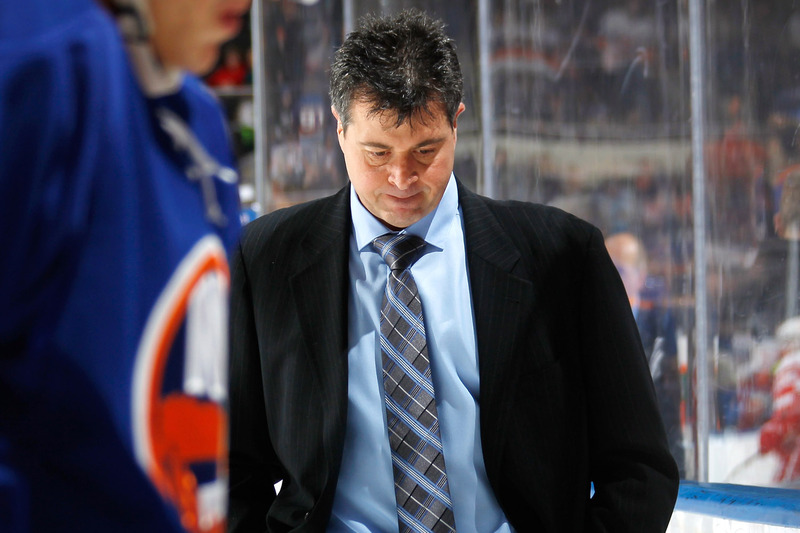 Not surprisingly, with a move to a new shiny building looming, much was expected of Jack Capuano’s group this season. It hasn’t gone according to plan so far. The Isles currently stand at 85 points, five points back of the 2nd place Rangers and three back from the Penguins, and only 3 ahead of resurgent Philadelphia. In a Metropolitan Division where every team aside from league leading Washington has struggled to distinguish themselves as better than the rest of the pack, the young and talented Islanders fit in instead of stand out. Having lost five of their last six, including last night’s 4-1 loss to Philadelphia, the Brooklyn boys aren’t exactly rounding in to form as the playoffs near. In five of those six the Islanders were outshot, the lone win coming by way of a wild come from behind rally against Florida in a game where the Isles by all accounts hit the snooze the first two periods. But getting outshot and out-possessed isn’t exactly new for this incarnation of the Islanders. Jack Capuano’s bunch owns a 49.9% Corsi rating at 5-on-5—17th in the league, and down considerably from the 52.8 mark the Isles posted last season when they were a top-5 possession team. So what’s wrong? Energy, or more specifically, a lack-there-of. The Islanders—even when they weren’t good—have long been known as a team that will outwork you. They might not be the best, but God knows, they’ll skate and forecheck like hell. Well, until this year that is. The Isles feature a whole host of talented forward suffering through off years, starting with captain John Tavares, on pace for his worst full season since his sophomore campaign. Youngsters Anders Lee and Ryan Strome have struggled too, and basically every top-9 forward not named Frans Nielsen or Brock Nelson is on pace for what would be considered a down year. So we’ll start with the good: with 11 games remaining and the bulk of Metropolitan playing underwhelming at best hockey, the Islanders, as talented as any team save the Capitals in the East, are still in prime position to right themselves and possibly even win a playoff series or two. As for the the bad? The reality is, if Jack Capuano can’t find a way to get more from this group, he could find himself looking for new employment come September. 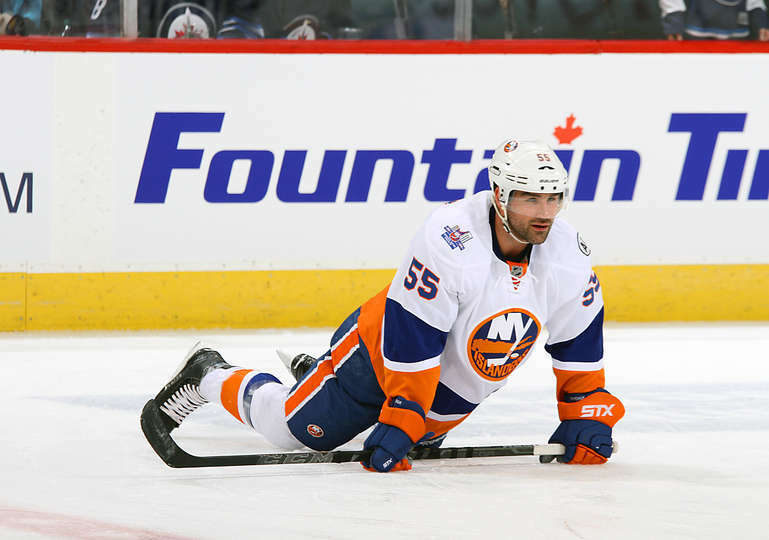 The Islanders need to step up and play with the same desperation that was once their calling card. If they don’t, it’ll be a long summer in Brooklyn. Humanitarian, author, philanthropist, cultural taste maker…these are all words that have never been used to describe Ricky Cibrano. A Fordham grad who worked at the School’s renowned radio station–WFUV–in his time there, Ricky’s post-grad life has consisted mainly of broadcasting random sporting events you likely haven’t heard of and reliving his “glory days” by playing beer league hockey. He can be reached on Twitter @rickycibrano.